Macquarie Perch are found in the Murray-Darling Basin (particularly upstream reaches) of the Lachlan, Murrumbidgee and Murray rivers, and parts of south-eastern coastal NSW, including the Hawkesbury/Nepean and Shoalhaven catchments. The conservation status of the different populations is not well known, but there have been long-term declines in their abundance. Macquarie Perch are an elongated, oval shaped fish with large eyes and a rounded tail. Some clear differences have been shown between eastern (coastal) and western (Murray-Darling) populations, but so far they haven't been described as separate species. Macquarie Perch from the Murray-Darling Basin are larger, growing up to 46 cm and 3.5 kg (though they are more commonly less than 1.5 kg). They can be black, silver-grey, blue-grey or green-brown in colour, with a paler underside. 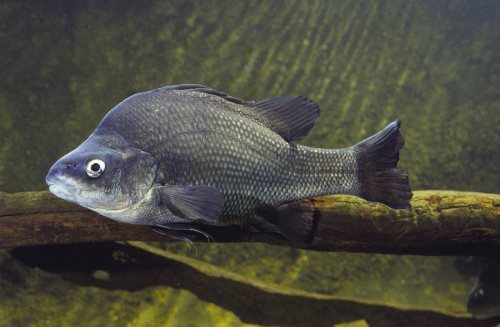 Macquarie Perch from coastal catchments are distinctly smaller (usually less than 18 cm in length) and are blotched with grey-brown, buff and dark grey patches over the head and body.